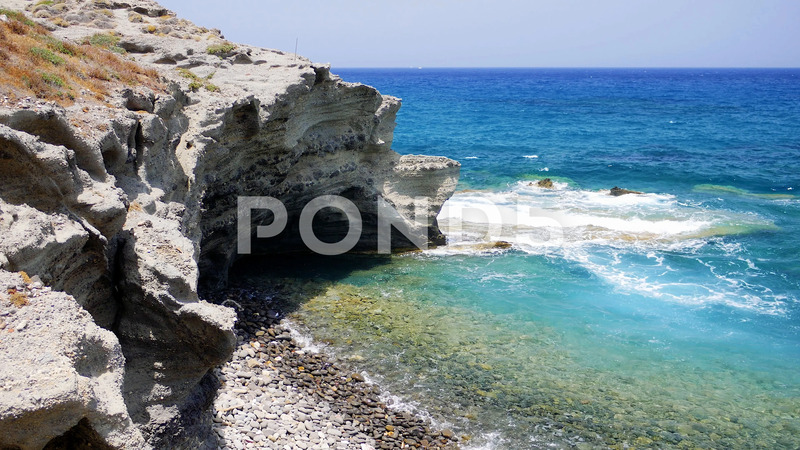 View Of The Cliff Into The Crystal Clear Azure Sea Near Papafragas Beach. Description: View of the cliff into the crystal clear azure sea near Papafragas beach, one of the most impressive sites of Milos. Cyclades, Greece.